A ”Western style” cafe opposite to Nakumat in the center of Moshi. You can eat small lunches in Coffee Lounge, for example pasta, salads and a variety of filled bagels and fresh pastries and coffees. There is also a good selection of postcards. 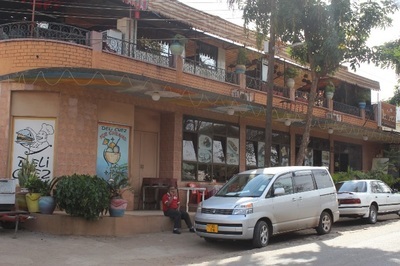 A Café in the center of Moshi. There you can find small dishes including pasta, sandwiches and pies. 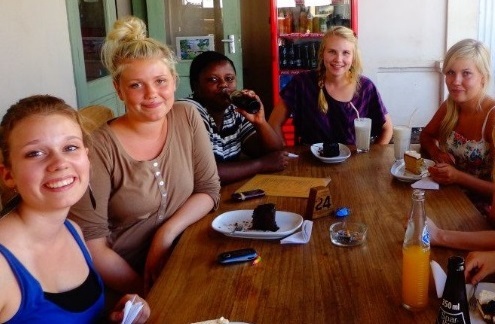 There is also a rich variety of coffees, cakes and ice creams. There you can eat also a hearty breakfast from Monday to Saturday. 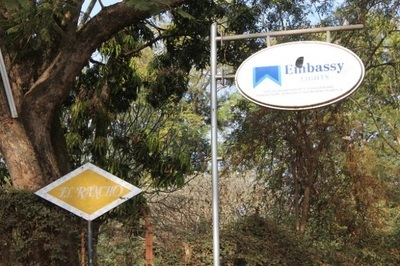 From notice board you can find a lot of information about safaris, the products sold and what is going on in Moshi etc. On Sundays, the Coffee Shop is closed. Coffee place in Moshi center. 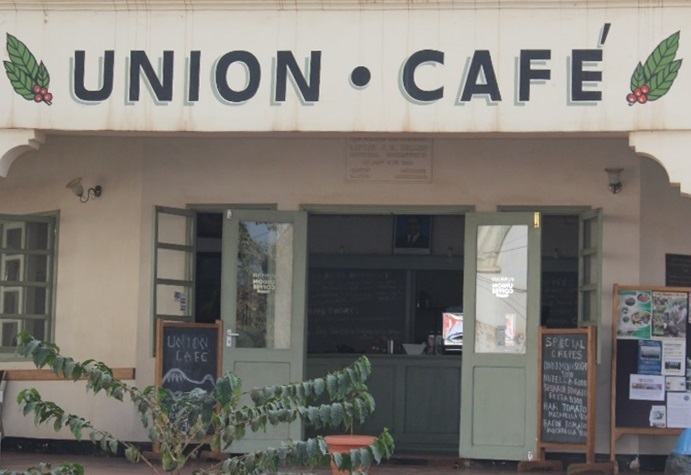 This coffee place is owned by KNCU, Kilimanjaro Native Co­operative Union which is the oldest co-­operatiive in Africa, started in 1929. This coffee place is very European style. They have large variety of special coffees, small lunches and pizza. This is also the only place in town where you can get (very delicious) cheese cake. A small and cozy restaurant in the center of Moshi. It was founded in 2000 and has been ever since one of the most popular restaurants in Moshi. The restaurant is especially popular among tourists. Indoitaliano serves Indian, Italian and continental food. Dining room can accommodate 36 customers. There is also Indian chef who is responsible for preparing the Indian food. The restaurant is open every day from 10am to 10pm. 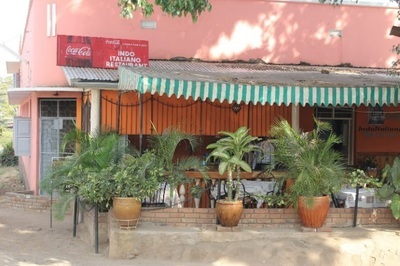 Italian passion is located in the centre of Moshi in the Leopard Hotel. Menu offers wide range of Italian pastas and pizzas. 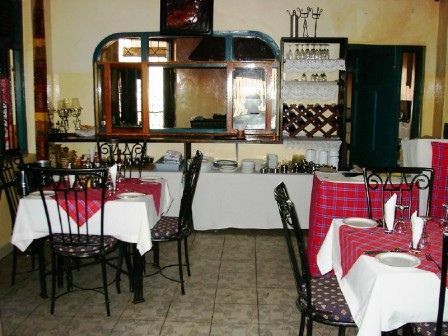 There is also a Swahili menu and continental cuisine from steaks and burgers to lots of different soups. Located about one kilometer from Tanzania Volunteers house. 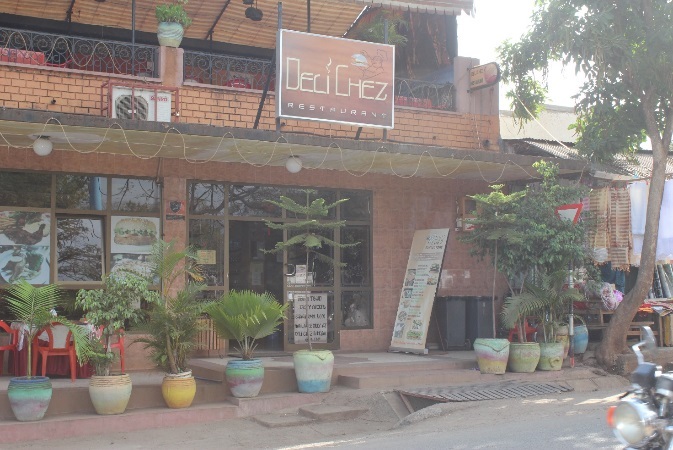 The menu is extensive and includes for example Indian cuisine, burgers and different kind of drinks. The restaurant is comfortable and reasonably priced, but you should book a lot of time for eating. Restaurant closes at 22.00. Restaurant can be easily accessed by foot from TVL house, on day time. A Chinese/Indian restaurant, which is located about 2 kilometers from Tanzania Volunteers house. Restaurant serves Chinesea and Indian food as well as pizzas. The portions are large and affordable price. 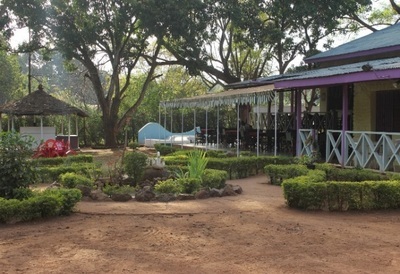 The restaurant can also be accessed on foot from Tanzania Volunteers house. Restaurant is closed daily from 3pm until 6pm, on the evening restaurant closes at 10pm. 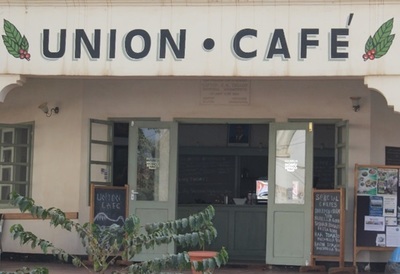 Restaurant next to the Uhuru Hotel. This is every carnivore’s dream place. 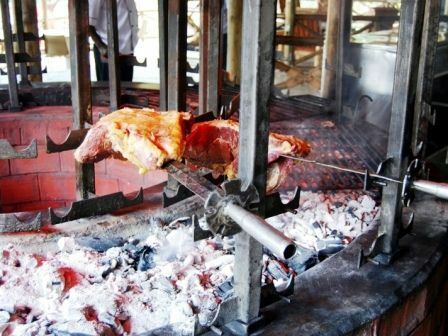 From the grill you may choose lamb, beef, pork or chicken. Prices are really cheap and one kilo of meat costs about 7 euros / usd 10. There are also other meals. 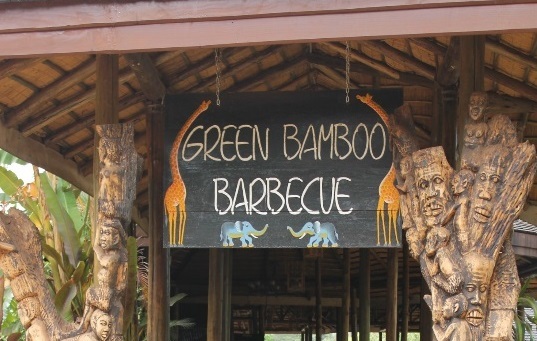 Green Bamboo Barbeque is open every day. 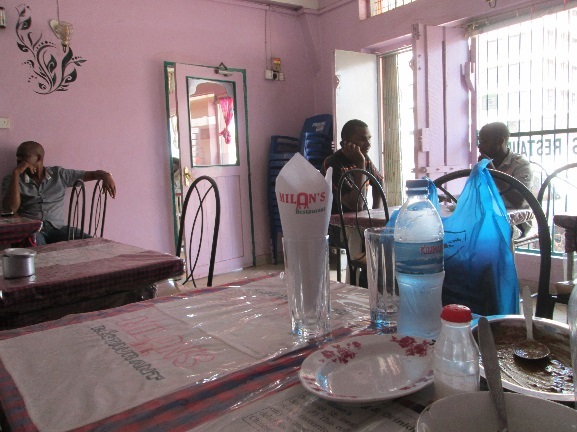 Located right in the center of Moshi and there is definitely the most extensive menu in Moshi. Menu includes Chinese, Indian, Japanese, and Pakistani food, also a huge variety of soups, salads, pizzas, burgers, steaks and much more. You can’t find any alcohol in this restaurant and it is closed on Tuesdays. The price range is affordable. 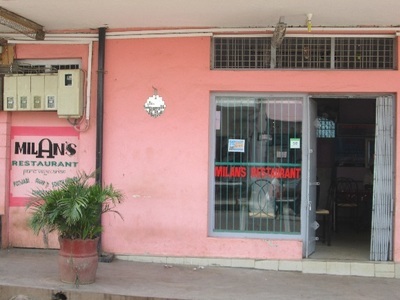 Indian restaurant in the center of Moshi with local prices. There you can meet also locals. People say that from here you can get the best Indian food in town. The view is very nice, in the evening you can see the Kilimanjaro and the forest around Moshi. It is quiet place for dinner. You should book a lot of time for eating because of quite slow service. But waiting is worth of it!